This is a bit of an elaborate project and it has a mix of traditional holiday music and more thematic songs of the Savior. The album starts with “Gabriel’s Song,” an emotive reflection of the birth of Christ as it was conveyed through the angel Gabriel. Further on Maher switches gear and gets more traditional with a jazzy “Jingle Bells.” The album swings back and forth like this through a total of 13 songs and near 50 minutes of music. 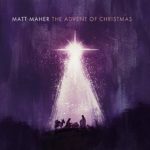 Overall, Maher’s desire was to weave the theme of Advent throughout this project. “From the very beginning and through the history of Christianity, the season of Advent has been a way of remembering (more fully) the mystery of God becoming human. Long before the Macy’s Day Parade, red Starbucks cups and The Elf on a Shelf, Christians marked the passage of time in the four weeks before Christmas by remembering and embracing the sense of anticipation around the arrival of the promised Messiah; to prepare for the coming of Jesus. Overall, “The Advent of Christmas” is probably one of the most elaborate and in-depth new releases this season. For more on this new album check out Matt Maher’s official website at https://www.mattmahermusic.com/. 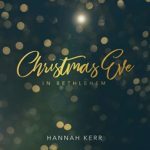 “Christmas Eve in Bethlehem” is doubly blessed with excellent song selection and a attitude of worship fitting for the King of Kings, Emmanuel. I still remember Turner’s debut and just how excited I was to hear what I thought was the epitome of style for country music. His booming baritone stirred up memories of when mom and dad played a lot of ‘70’s country music around the home. I wasn’t a big fan of country then, but the nostalgia of it all now has stirred up good memories when I’ve listened to Josh Turner. I can’t believe it took this long for Turner to come out with a gospel album. At first I thought I must surely have missed a gospel album from him sometime in the past decade or more of albums. However, that’s not the case and his is his first such album. Since it was a long time coming, and a such a meaningful recording for him, Turner was very deliberate about his song selection. He also made sure that he added his own bit of flair without compromising the integrity of the original. Additionally, there are a couple of tracks that were recorded live, including his monumental hit “Long Black Train.” All together they make for a very wonderful experience and an admirable gospel album. 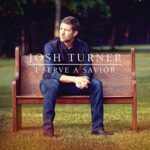 Some of the other standouts include “How Great Thou Art,” “The River (Of Happiness),” and “Amazing Grace.” I Serve a Savior is a great testament of Turner’s faith and an equal representation of his amazing talent. Check out https://joshturner.com/ for more details and some samples. “Burn the Ships” is the third release from the critically acclaimed duo known as ‘for King & Country.” From my perspective, the duo has hit it off so well with their past two releases it is hard to believe this is only their third album. Their style of up-tempo pop and lyrical inspiration have propelled them to pop-sensation rapidly. I would say that songs like their lead single, “joy,” and the rhythmic “God Only Knows,” and the progressive “Amen” on their latest release is likely to reinforce that prominence even further. Additionally, when I listen to the whole album I am also drawn to the more tender side on songs like “Need You More” and “Control.” These are songs that go beyond snappy soundtracks and infections choruses. 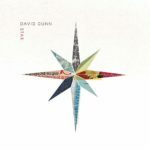 Overall, “Burn the Ships” is a well-rounded release that exhibits maturity typically found in more veteran artist. 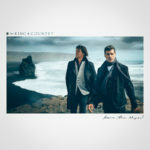 For more information on for King & Country or “Burn the Ships” check out their official website at https://www.forkingandcountry.com/. 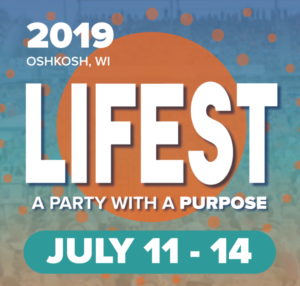 At the end of his new band’s set at Lifest in Oshkosh, WI, singer Mac Powell extolled the crowd, “I have one more thing to tell you.” Something profound? “Buy my new record.” Guess not. If you’ve listened to either of Mac’s two solo projects, you know he has a thing for country music. And that’s what this new project is-country music. And while there isn’t anything necessarily wrong with country music (I like Kasey Musgraves for example), this disk is riddled with country music clichés. Really clever, right? That’s about as deep as it gets. “Whoo!” is a country-cliché party song while the gag-inducing “I’m Beginning to Wonder” is an “of course it’s all the girl’s fault” relationship abomination. Two songs open with a reference to being 5-years old. How original (insert sarcasm). Two songs, “Flood Waters” and “Heaven” could cross over to Christian radio but if that’s you’re listening preference don’t bother getting the entire disk. In fact, if interested, check out ebay. You might be able to get (my) disk for dirt cheap. Out it goes. The instrumentation is fine, throw in a slide guitar! But the separate channel mix on the jam that ends “Heaven” is really annoying to listen to on headphones. 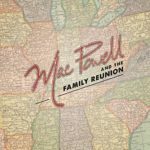 You can catch Mac Powell taking about this project via the link below. 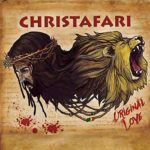 For many years now, Chistafari has been releasing edifying, Christ-centered, and entertaining Reggae style music. Their latest, “Original Love,” exemplifies what it means to live as you speak (or sing in this case). The music is just one part of their ministry focus, a tool in their arsenal of collective talents that have culminated in a worldwide mission. It is all well documented on their website. 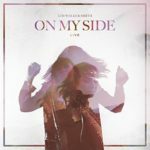 Kim Walker-Smith of the Jesus Culture recently released a live project named “On My Side.” The new album follows much the same format of previous releases from her and the general Jesus Culture brand. Noteworthy are the songs “I Know,” which aptly describes a right perspective of “Christ the Solid Rock” on which we can depend on, the heartfelt “Undone,” and my favorite, “Throne Room.” This last song does well to describe my thoughts on the throne room as it is described in Revelations. It’s another heartfelt and powerful song from a veteran worship leader. You can find more on Kim Walker-Smith and “On My Side” from her Facebook page or the Jesus Culture website at https://www.facebook.com/kimwalkersmithmusic/. Bethel Church in Redding, CA has done an excellent job using music as a tool of ministry with several worship leader style projects in the past. 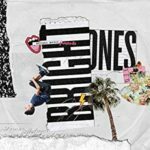 The ‘Bright Ones’ is an extension of that ministry, featuring the youth of Bethel Church. 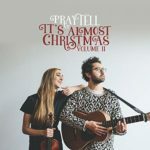 The youth ministry has already had success with an earlier release and a 2016 Christmas EP. The new self-titled EP recently released (April 27th, 2018). It is a mix of creatively worded, Christ-centered, upbeat songs with an abundance of energy. The production is of high quality; however, it relies heavily on what I would consider a tracks-based sound. That’s what gives it the unending energy that’s fitting for a youth event opener or just a good, loud, listen at home. It’s lyrically positive and creatively enjoyable, a great asset for parents trying to infuse some positivity into their younger children.